Brilliant people to work with from the word go. We had no idea really what we wanted, but we knew we wanted to change what we had and through a series of visits and email discussions, Paul and Kath designed something with our needs and budget in mind. The whole team are friendly, polite and helpful. They are tidy and respectful of your property and very self sufficient! Communication was really easy all the time and I’m sure if we’d had any problems they would have been dealt with immediately. Everything went smoothly and despite also being on hand to deal with escaping animals (not in their job description at all!) they finished the work well and in good time. Many thanks all of you – will happily recommend you and use you for any future work. Amazing job landscaping part of my garden, makes such a huge difference to the entire outside space. Paul and team were friendly, polite and professional – and turned up exactly when they said they would! They took a lot of time and trouble making sure everything blended in with older parts of the garden and even remembered to return a couple of months later to aerate the lawn; couldn’t recommend them highly enough! I would like to thank Paul and his crew for a great job in replacing two fences and gates at my properties in York recently. The job was completed on time, on budget and finished to a very good standard. All the old fencing was cleared away very quickly, and even pathways brushed clean. It’s such a pleasure to work with people who know what they are doing, and carry it out with skill and without fuss. Like the saying goes” they do what it says on the can”!!. After sales service has also been top notch. Thanks Paul!! I can not recommend Paul and the team highly enough! A few years ago he completely transformed our back garden with decking, low maintenance planting and borders so it was an easy choice for him to return and do the same with my front garden! Paul and Kath instinctively know what will look good and he has created another wonderful space with a little paved seating area for me to enjoy the evening sunshine! The work is first class and they leave the job perfect with everything tidied away and work tirelessly until it’s finished! Thankyou once again! I would recommend this company to anyone. They were brilliant. I have four dogs and needed a garden that would be a good space for both us and them to use as well as looking good and being easy to maintain. Paul Cox Ltd delivered on all counts. Reliable, friendly, efficient, and they’ve absolutely transformed my garden so now we have a gorgeous space we all enjoy using. A joy to work with. Thank you. Very impressed by the service that Paul, Kath and the team delivered. Can’t recommend them highly enough. Really lovely people and most importantly they were really clear about what the process would involve (how long, how much and what exactly would be done). I had just bought a house with a garden that had artificial grass with weeds growing through, and wanted a new workbench. Paul and the team explained how they would prevent this from happening with new turf, and Kath sourced me a beautiful oak worktop. It looks great, the team were so careful when walking in and out of the house and left no mess. Wish I had a second garden! Super job, on time, on budget; clean, tidy, and finished to a very high standard. We have no hesitation in recommending Paul Cox Landscaping; it is very nice to deal with a company and its individuals who pride themselves on the quality of the work they offer. Thank you Paul Cox Landscaping! Paul and Kath were very patient with us throughout the whole process from design and material choice to landscaping and tidying up. They sourced several different samples of York stone in the grey colour we were looking for until we were able to agree on the one we liked. The team at Paul Cox Landscaping are a great bunch and we are so pleased we chose them to complete the work as it was stress-free. After a 12 month renovation project on the house, having a fabulous patio to enjoy is the icing on the cake. Thank you for doing the most amazing job! I couldn’t believe it when I got home and had a new garden! You have been the most professional gardening company I have ever encountered and I would recommend you to anyone. I will absolutely leave feedback on google. It will be my pleasure. Thank you once again for a brilliant job. Highly recommended. Very professional and quick service. Delivered on their promise! We are so delighted with the garden and with how the work went – we’ve never undertaken anything major before really as the rest of the house we’ve done ourselves with family help and working with Kath, Paul and their team was a brilliant experience for us from initial consultation to the final result. We couldn’t believe how hard everybody worked and in the summer heat too. We spent the evening out there last night and have been outside most of the day today- it’ll totally change how we live, especially for our young daughter, and are really excited about undertaking the finishing touches for the walls and planting the beds out too. I just wanted to say a huge thanks to Paul and all the team at Paul Cox Landscaping for an amazing job transforming the gardens at Windthorpe Claxton. All the locals keep commenting how fantastic the gardens and patios now look. I would highly recommend and great people to deal with. Great job landscaping our driveway, paving and bin storage area. All done very cleanly and very quickly. Will definitely use again. We purchased a new build in 2003 and wanted the standard square turfed plot transformed into a relaxing oasis. Paul built a functional space with a sandstone patio and a teardrop lawn edged with black granite cobblestones and perennial borders. 13 years later we are still enjoying the garden and patio. I love it all – thank you, thank you, thank you! As the owner of two humans (Ruby and Stan Mills) I am dictating to them my thoughts on the recent work that Paul and his wonderful team completed i.e. lawns replaced, landscapers’ sleeper edging put in and drainage improved. My garden doesn’t have easy access; the whole team, materials and equipment had to go through the conservatory and, might I add, done in such a way that no furniture or humans were hurt in the process! Everything was left as found. We are all so pleased with the results…..great lawns for me to chill on (those humans keep trying to get me to move – fat chance!) and a much improved area to enjoy in the coming months. Many thanks to a proficient, hard-working team, we’d have them back in a wag of a tail! Paul and his team provided an excellent, friendly and professional service starting with a very prompt response to our email enquiry, the provision of an accurate and detailed quote and the design and construction of a brick-built raised bed. We are absolutely delighted with the end result, which has exceeded all our expectations especially in regard to the quality of the workmanship. We would highly recommend Paul and his hardworking team and were so impressed that we have asked him to undertake further work in the front garden. 15 years ago I was went to hospital for a hip replacement. I wanted my garden landscaped for the first time while I was in hospital as something to look forward to when as I recovered from the operation. I gave Paul a short list of what I would love to have in my garden. I could not have dreamed how perfect my garden was when I arrived home from the hospital. I have enjoyed my garden everyday since, it gets better very year. Thanks to Paul for his understanding of what I wanted and knowledge of landscaping and horticulture to ensure that my dream garden was created and keeps getting better. Over a period of 4 weeks Paul and his team transformed our walled back garden, working with our garden designer Sue Lindley www.gardensgreen.co.uk. Paul interpreted the brief closely, checked with us at each stage and was both open to questions and flexible to changes. Our design involved significant changes with some complexity and Paul Cox Landscaping delivered workmanship of a very high standard, completing our garden on time and within budget. We are delighted with our new garden and do not hesitate in recommending Paul and his team. 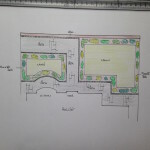 Paul worked with us to create a plan for our garden based on what we wanted from it. He completed the work ahead of schedule, he worked efficiently and the whole team were always pleasant and courteous. Every evening when I returned from work, the outside was left very clean and tidy and we were abroad when the work was completed and how lovely it was to return to the most beautiful garden, which I look out on every day with great pleasure. We chose Paul as we had seen his work and he came with the highest recommendation. In turn I would not hesitate to recommend him to anyone who wanted their garden transforming. Love it, thanks a million guys! Thanks for all the hard work Paul and Dave. We’re no longer an embarrassment to the street! Immeasurably better now. Paul has transformed my garden from a boring square grassy area to a curvy garden full of interest. From the moment I contacted Paul he came round and we chatted ideas through. He had some good ideas and seemed to understand what I wanted. No matter how many times I emailed questions he came back to me quickly and popped round a few times to chat further. Once he started he was so easy to have around and never ever left a mess, he took care to look after the grass putting boards down, his attention to detail is second to none. I’m absolutely thrilled and can highly highly recommend anyone to have work done. Brilliant!! Paul and co. built a great deck for us in Appleton Roebuck. Paul is knowledgable, reliable and tidy. The proof of all of this is that the deck still looks great approaching its second winter. Thanks Paul. Paul has done an amazing job in my garden developing some gorgeous raised beds for my vegetables. Using railway sleepers Paul created four beds which are perfect for planting He has also put in a very long fence going up the side of a sloping garden. My neighbours have all commented on what a great high quality fence he has built. I would highly recommend Paul and his team. They do an amazing job,work real hard and clear up afterwards. Fantastic work. Thanks Paul, we’ve only been waiting 2 years trying to work around this garden issue, looking too deeply for a solution to unsightly pipework left over from a house extension. After a short visit, discussing the issues, you identified a simple cost effective decking solution, covering the problem area. We soon agreed and the work was completed with no fuss and no hassle. Really impressed with the finish we can now move on. Really trust & value your advice and knowledge. Highly recommend your services to everyone. Paul Cox was fantastic in helping us plan a feature in our garden to get the most use of space whilst maintaining key features. We settled on a fab patio with railway sleeper borders which has received nothing but compliments from everyone who has visited. Everyone says our garden even looks bigger now! Paul even gave me a lesson in pruning and I highly recommend his team for any project. These are testimonials from our delighted clients. We always aim to exceed your expectations! If you would like to see examples of our York Garden Design, please contact us. For more information on York Garden Design and for professional landscaping services please contact Paul Cox.